Contribution to Type Hike, a collaborative, lettering-based project to celebrate the National Park Service's Centennial. 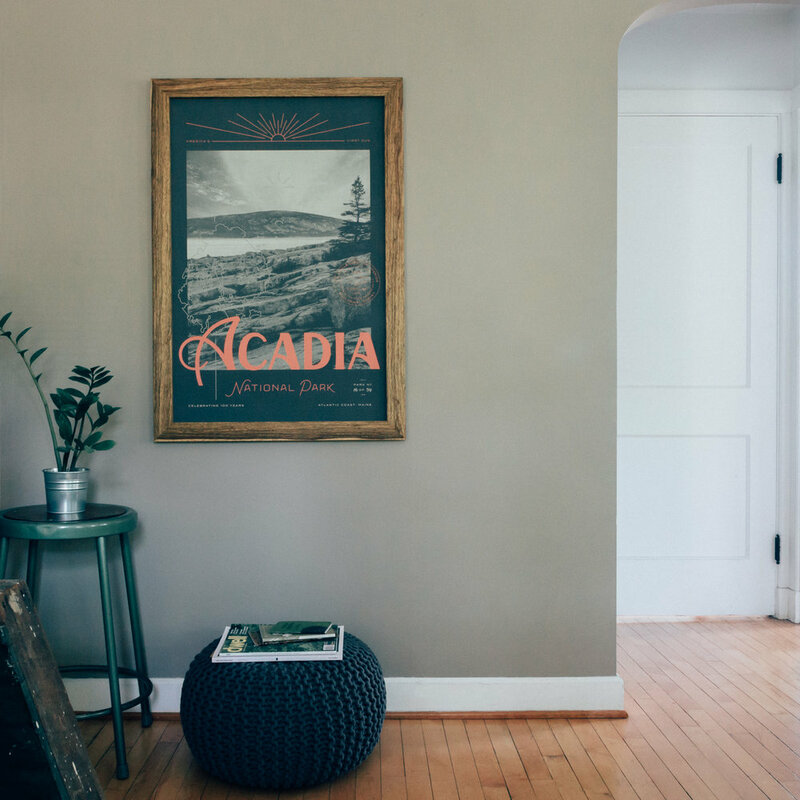 The Acadia poster is inspired by Cadillac Mountain's sunrise. Its elevation and eastern location sets it up to be the first spot in America to see the sun. 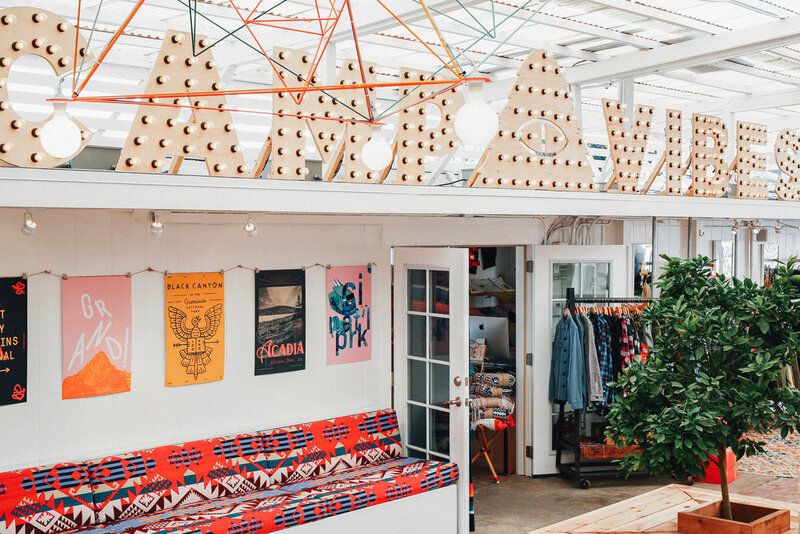 We found inspiration on roadside pitstops and seaside summits. 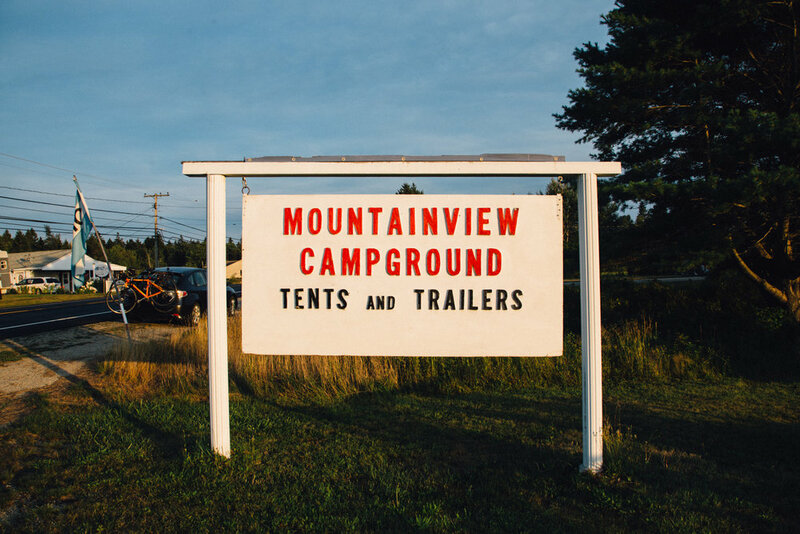 Camping in the park gave us the chance to witness the classics, get off the beaten path, and inform our design with experience. All 59 posters are available as 12" × 18" inkjet prints and as 4" × 6" postcards. 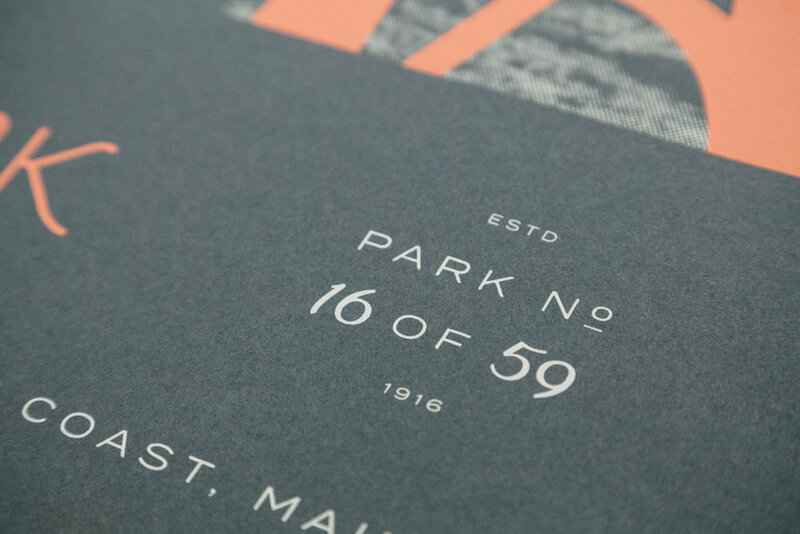 A select few parks, including Acadia, are screenprinted at 24" × 36". Some secondary badges and lockups even found their way onto t-shirts. Type Hike donates 100% of profits directly to the National Parks' Centennial Campaign. The fifty-nine-poster series is scheduled for exhibit across the country. Pictured is the collection in its entirety at Poler's Laguna Flagship store in Laguna Beach, CA.